One of my coworkers gave me a gift certificate to Asti, so my friend Natalie and I headed there for lunch yesterday. 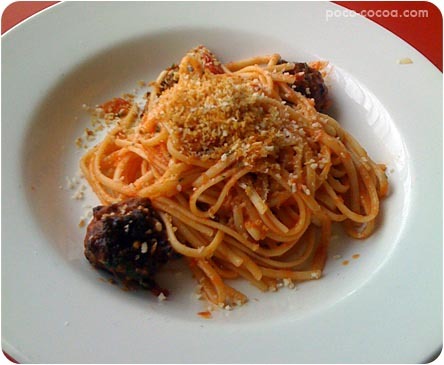 I had the daily special, linguine with pancetta and pork meatballs and toasted breadcrumbs. Oh, how I love pasta with meatballs. And from now on, I hereby declare that all pasta should be topped with toasted breadcrumbs. 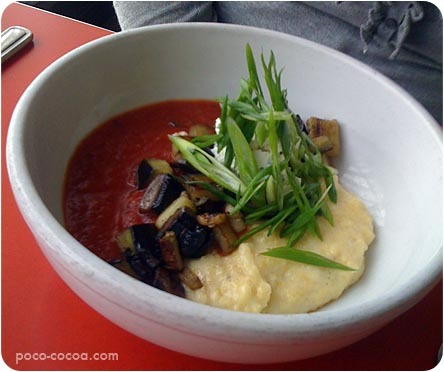 Natalie had the polenta bowl with grilled portabello mushrooms and eggplant. I tried a spoonful of the polenta, and it was so tasty and comforting. We shared the caramel budino for dessert… it’s basically the creamiest, most perfect caramel pudding ever. 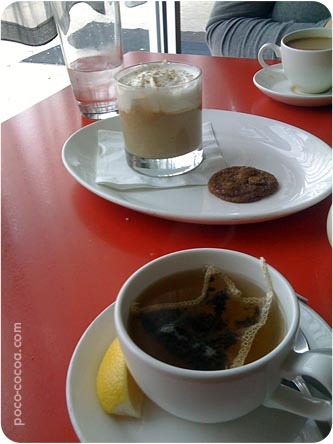 Natalie had coffee, I had my favorite Mighty Leaf tea.